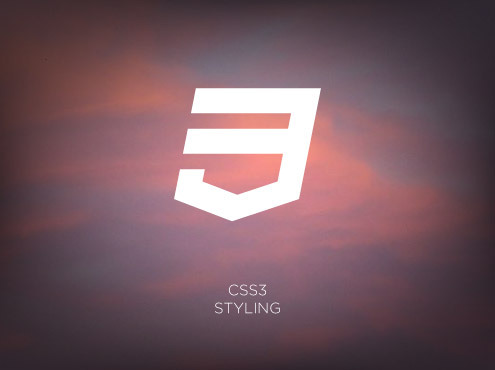 The new CSS3 icon, part of the HTML5 brand (image courtesy of W3C). On the 18th January the W3C unveiled a logo and brand identity for HTML5 and associated technologies. The latest Internet Explorer 9 Platform Preview (build 6) released yesterday at Microsoft’s professional developers conferences adds further support for CSS3, specifically CSS3 2D Transforms. The CSS Working Group met in Oslo last month for three days of face to face meetings. The minutes, available on the CSS Working Group’s blog, reveal discussions around CSS2.1, several CSS3 modules, a rough draft of the Working Group’s priorities for 2010 and even taking Microsoft to task over their controversial test results published earlier this year. Google have recently updated their HTML5ROCKS site, originally launched in June this year, with numerous new demos and tutorials for HTML5 and CSS3. The latest update adds, amongst other articles, a tutorial for CSS3 Web Fonts (with @font-face) and a new ‘HTML5 Studio’ – offering a number of live demos for many of the new possibilities offered by HTML5 and CSS3. Since being updated the site has been causing quite a stir online and if you’ve not come across the site before, it’s an excellent resource for getting to grips with HTML5 & CSS3 and certainly worth a visit. Mozilla announced the arrival of Firefox 4 Beta 2 late last week, only three weeks after the release of Beta 1. This updated release includes two major improvements over the first beta release, notably increased performance and increased support for CSS3 Transitions. 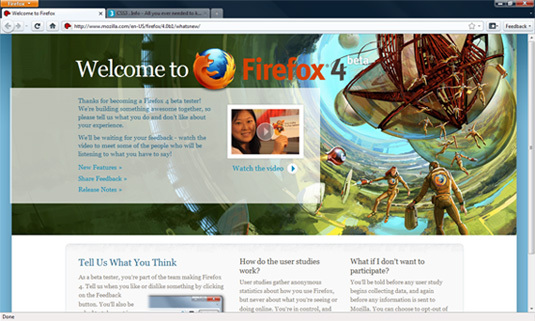 The first public beta of the forthcoming Firefox 4 browser has been released bringing increased support for CSS3 amongst various other improvements. One of the most notable new additions in Firefox 4 is support for CSS3 Transitions (with the -moz- prefix). Webkit based browsers (such as Safari / Chrome) and Opera have supported CSS3 Transitions for some time, almost three years in Webkit’s case, and it is reassuring to see that Mozilla have finally made an effort to catch up with the competition in this area. The W3C have today issued a last call working draft for the CSS3 Backgrounds and Borders module. * Addition of ‘content-box’ value of ‘background-clip’. * Change to the ‘background’ shorthand syntax for ‘background-clip’ and ‘background-origin’. * Removal of recommendation to use gradients for color transitions when ‘border-radius’ produces a curve. * (Re)Addition of ‘box-shadow’ property. You can read further detail on the changes in our previous article here. The W3C has set a deadline of the 6th July for comments. Any comments should be submitted to the www-style mailing list, see the status section of the specification for further details.